What determines what we remember and what we forget? The key to memory is attentiveness. Storing explicit memories and, equally important, forming connections between them requires strong mental concentration, amplified by repetition or by intense intellectual or emotional engagement. The sharper the attention, the shaper the memory. "For a memory to persist," writes [Nobel prize-winning neuroscientist Eric Kandel], "the incoming information must be thoroughly and deeply processed. This is accomplished by attending to the information and associating it meaningfully and systematically with knowledge already well established in memory." If we're unable to attend to information in our working memory, the information lasts only as long as the neurons that hold it maintain their electric charge - a few seconds at best. Then it's gone, leaving little or no trace in the mind. Revisionists such as Universal Music's Max Hole advocate reducing attentiveness at concerts. New delivery channels such as smart phones and iPods encourage the shallow processing of incoming information. Classic FM-style radio eliminates repetition and renders mental concentration redundant. Cartoon websites dispense with intellectual engagment. In classical music 2.0 the listening experience "lasts only as long as the neurons that hold it maintain their electric charge - a few seconds at best... then it's gone, leaving little or no trace in the mind". Which is why classical music is both failing to engage new listeners and hemorrhaging its loyal core audience. Nicholas Carr's The Shallows, which analyses how the internet is changing the way our brains work, provides the quote. Do not underestimate the importance of this strand: my recent post about how audiences become what they listen to, which was also sparked by Nicholas Carr's book, generated more social media reaction than any other post in On An Overgrown Path's nine year history. In today's quote the key words are "the incoming information must be thoroughly and deeply processed". One of the biggest obstacles in the fight against the classical music revisionists has been the emotive pejorative "dumbing-down" with its connotations of elitism. Now Nicholas Carr has shown a way round that obstacle by talking about 'deep' as opposed' to 'shallow' cerebral experiences, a differentiation that has its origins in the recognised phenomena of 'deep reading'. The Shallows should be required reading for everyone involved in classical music, particularly those who worship with the revisionists. And, unlike the doctrine of Max Hole, BBC Radio 3's Roger Wright and their co-revisionists, it is not pseudo-science: Nicholas Carr's scholarly citations and bibiography run to thirty-one pages. For years visionaries such as Benjamin Britten have been telling us "Music demands more from a listener than simply the possession of a tape-machine or a transistor radio. It demands some preparation, some effort, a journey to a special place, saving up for a ticket, some homework on the programme perhaps, some clarification of the ears and sharpening of the instincts". Yet nobody believed them. For years visionaries such as John Cage have been telling us "If something is boring after two minutes, try it for four. If still boring, then eight. Then sixteen. Then thirty-two. Eventually one discovers that it is not boring at all". Yet nobody believed them. For years lesser mortals, including this writer, have been telling of how classical music is being seduced by the fallacy that art can be repurposed as entertainment. Yet nobody believed us. Now a Nobel laureate and other acknowledged experts are telling us that, to engage new listeners and retain the existing core audience, classical music must quit the dangerous shallows for deeper waters. Can there be any more compelling evidence that the revisionists are completely wrong? 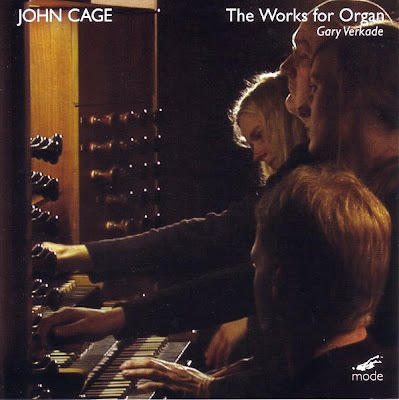 Header image shows Gary Verkade's John Cage: The Works for Organ. 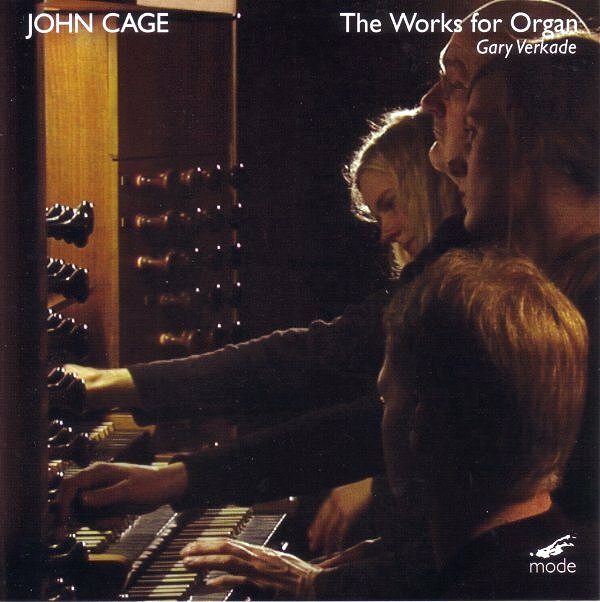 Thrillingly recorded on the Grönlubnds Orgelbyggeri in Sweden, this double CD delivers two hours of extreme neuroplasticity. Nicholas Carr's The Shadows was borrowed from Norwich library and no review samples were used in the preparation of this post. Any copyrighted material on these pages is included as "fair use", for the purpose of study, review or critical analysis only, and will be removed at the request of copyright owner(s). Tech-boosters ridiculed him for having this view, of course. I needn’t further enumerate all the ‘dumbing-down’ ideas that continue to be utilized by the classical music establishment that fail to produce the desired result. Thanks for all of the insightful posts. I've been thinking about music for a long time. So when I found your statement that "classical music is being seduced by the fallacy that art can be repurposed as entertainment", I concluded that it's most likely that you believe that this should not be the case. So if not entertainment, or not merely entertainment, what should classical music be? Should it be emotionally stimulating in addition to entertaining? Should it be intellectually stimulating? Should we lose the entertaining qualities?